Why buy herbal products when it’s so fun and empowering to make them on your own? 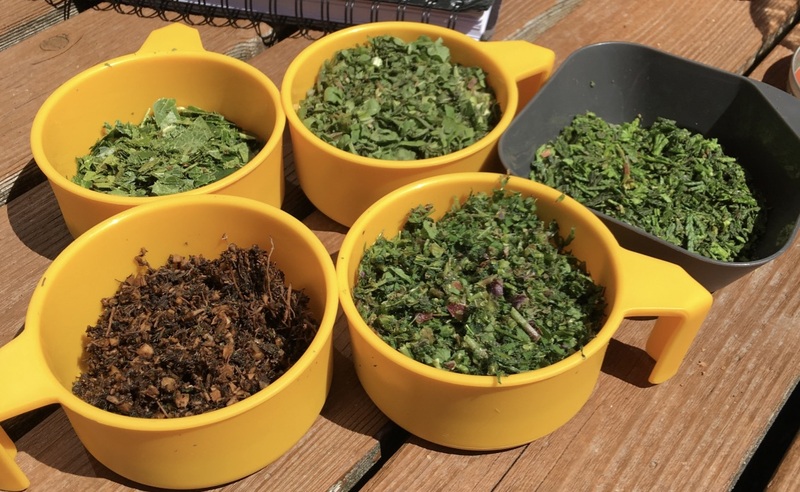 Making herbal medicine is a fun way to explore and learn about herbal preparations, while saving money! Gain the skills needed to feel confident about when to pick plants at their strongest and how to process them to ensure that their remedies will be high quality herbal medicine that really works! This class will cover: cultivating a relationship with medicinal plants; medicinal oils and salves; tinctures and elixirs; plant infused honeys and syrups; infused medicinal vinegars; infusions and decoctions; fresh herb salts; antiseptic sprays; and guidelines for foraging and harvesting. What is herbal medicine? How do we use it safely and effectively? In this class, students will gain an understanding of herbal medicine – what it is, when to use it, and best techniques for processing plants. Suzanne will take the confusion out of which preparations are most potent for extracting and preserving the variety of medicines in plants. She’ll even throw in geeky science stuff like the specific chemicals found in the plants used in the workshop that will give the “why and how” of what the plants do in the body; this gives the student valuable information to enable them to talk to those who may be reluctant to take herbal medicine. It’s important to gain a solid foundation in making the basics and to have many options to accommodate preferences. How can we support a person with herbs if they won’t or can’t use alcohol tinctures, don’t like the taste of teas, or think that all herbal medicine is hippy voodoo? The goal is to get the medicine to the people in a way that they’ll be happy to take so that healing can occur… and Suzanne will show you how! This is a demonstration workshop. Students will sample herbal treats and take home a medicinal salve and elixir!